TRANSITIC, a pioneer in the field of connected intralogistics, has developed integrated solutions adapted to the needs of e-commerce. Our e-commerce intralogistic solutions are connected and allow you to monitor and manage all your flows in a flexible and efficient way: from reception, storage, replenishment, sampling and packaging to loading trucks and treating returned items. Our automatic sorting machines have been designed specifically for e-commerce. They connect seamlessly with your intralogistics flow and adapt to all sort of volumes. 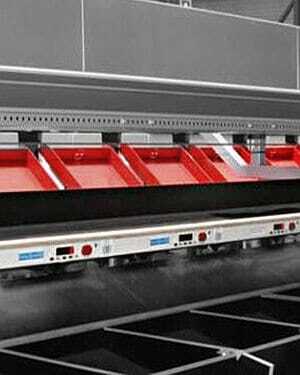 Our sorting systems are versatile and exist in several technologies (bombay, slide tray, tilt tray). 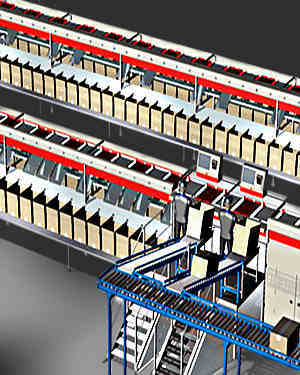 The Wide Oval Flat Sorter (WOFS) is a sorting machine designed for large-scale usage that optimises internal work spaces. Unitary items are placed on the sorting tray and the tray opens above the correct container as items slide into a cardboard box, plastic container or onto the conveyor itself. Screen2Sort is a computer-aided sorting system allowing for the simultaneous distribution. Screens display sorting instructions as per the number of operators. A colour code is sent to each user in order to help increase productivity. Screen2Sort is often used when the volume of items to be sorted does not justify investment in an automatic sorting machine. The STS is a sorting machine with a design based on the recirculation of trays positioned at a particular angle. Unitary articles are placed onto the trays, and gravity forces the item to slide down the tray and through an opening at the end of the tray into the intended container. The sorter is specially designed for handling fragile. 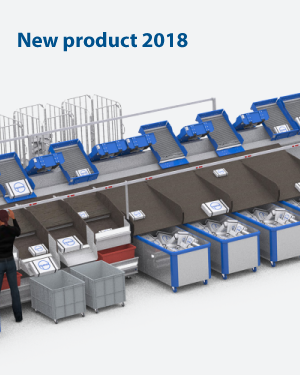 This design is the result of a fusion of the Scan2Sort and Screen2Sort systems, combining mobility and flexibility but it also offers superior ergonomics and better handling thanks to its hands-free system. 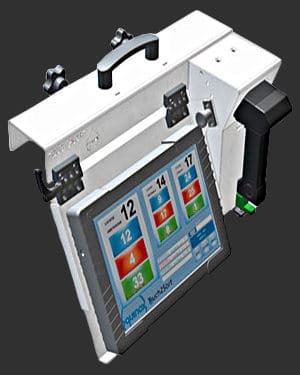 The machine uses touch-screen and wireless scanning technology; the screen shows exactly which products are to be placed into the end container. The news vertical slide tray sorter LR sorts a wide range of products (fashion, accesoires and shoes) to predefined destinations. The trays enable bi-directional (leftright) sorting, which maximizes the number of exits in a small footprint. 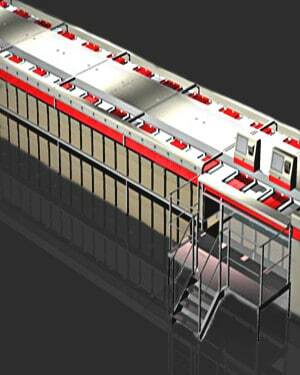 The Oval Flat Sorter (OFS) is a sorting machine designed for average- and large-sized sections. Unitary items are placed on the sorting tray and the tray opens above the correct container, for example a cardboard box, a plastic box, or the conveyor itself, according to customer needs. 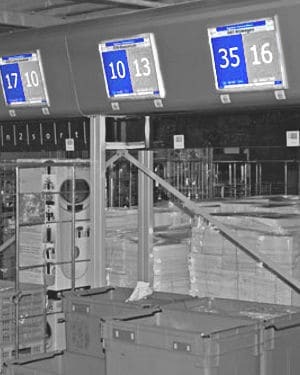 Scan2Sort is a manual sorting system guided by Wi-Fi and suitable for all types of products. Unlike the Screen2Sort, the Scan2Sort does not have a screen. However, it is a mobile device by means of which instructions can be communicated to the operator. This system allows a high accuracy of sorting results. 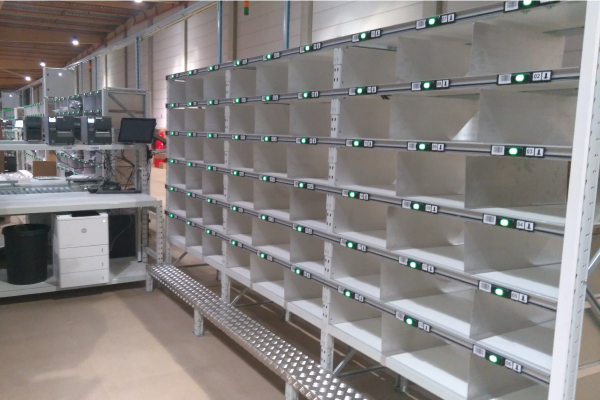 The Pick & Put2Light systems visually guide the operator with a set of lights that leads directly to the correct warehouse location or to the items to be selected. The system is ideal for dense e-commerce environments. 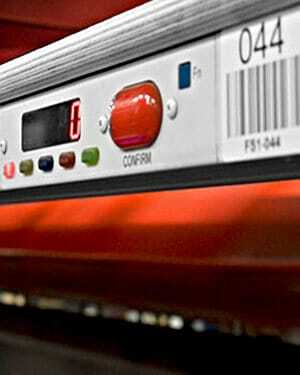 The system reduces the level of operator error and thus increases productivity. Our OpenWCS and OpenSCP software drives the entire flow of your e-commerce and directs articles automatically to the desired destinations. The open source software can sort all types of products: from a large format heavy carton to a small item of a few grams.